How many of you have owned and driven something along these lines in the past, or even still? For more, check out Bill's website. 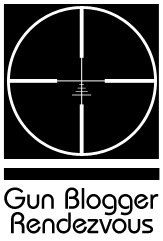 Believe it or not, it's already time to start putting all the pieces together for next October's Gun Blogger Rendezvous. I've got plans for some new stuff this year, including a second range day. One day at the range we used last year, mostly for rifles, and one range day aimed (a pun?) towards action pistol shooting, something along the lines of a few Steel Challenge Stages to shoot. Maybe even a mini Steel Challenge Fun Match? If we can get all of the ducks in a row we'd also like to coordinate with the Cowboy Fast Draw Association (located only 20 miles outside of Reno) and see if we can set up some Cowboy Fast Draw shooting and additional fund raising, possibly on Sunday. We have tried to put this together for two years now, but scheduling kept getting in the way. Maybe this year, I hope! We will be having our fund raising raffle for Project Valour-IT, our all you can eat pizza feed, the regular BS sessions well into the night, and all the fun stuff like we have done in the past. I do, however, need some feedback from you all who might be considering attending this year's Rendezvous. What I need is some feedback from all of you as to your projected attendance at GBR-IV. I realize that October is a long way off and things can change between now and then, so I'm not holding anyone to their positions, but I do need to get some idea of what everyone wants to do. In particular, I'm interested in hearing from folks who haven't been to a GBR in the past and are hoping to make this be the year. You don't have to be a Gun Blogger, or even a blogger, to attend. If you enjoy shooting, if you read some of the gun blogs, and would like to meet some of the gun bloggers in person, here's your chance. Leave us a comment if you are thinking about attending this year! e-Postal Match "Smoke 'em & Hope"
Welcome to the first e-Postal match for the season! This match is based (loosely) on the Steel Challenge Shooting Association's stage "Smoke & Hope". The name comes from the idea that you "Smoke" (hit) the first four targets as fast as you can go, then "Hope" you can slow down enough that you don't miss the last one! Since Steel Challenge scoring is based on your time, I had to change the rules around a bit. Here's the link to download the Target. It's a PDF file, so you may need Adobe reader to print it out. DISTANCE: 25 feet, or 10 yards, depending on what is available to you at your range. START POSITION: Use the Steel Challenge Rimfire starting position. Start with your gun pointed at a spot on the ground directly in front of you, and 12 feet in front of you. At a Steel Challenge match there would be a marker, but for our match just estimate the 12 feet. SHOOTING POSITION: Standing, un-supported, off-hand, one or two hands on gun permitted. PROCEDURE: When ready, raise the gun and fire five shots, one at each target (or plate). Shoot one shot at each of the four rectangular plates first, then shoot one shot at the round "Stop Plate". You can shoot the rectangular plates in any order, but the stop plate must be shot last. You should shoot as quickly and as smoothly as you can comfortably and safely shoot. If your range limits you to one shot a second, as some do, try for that. Shoot this five shot sequence, or "Shot String" five times. Do not shoot any plate more than once in any given shot string. When you are done you should have a total of 25 holes in the target sheet, comprised of 5 holes in each of the plates. I want to stress that this is not a "Take all the time you want" event. We are looking for accuracy combined with a reasonably brisk rate of fire. What we are trying to develop is your ability to shoot while the gun is moving. 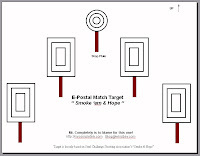 The idea is to sweep smoothly across the targets firing as each target passes in front of the sights, rather than fixing the sights on each target. With a little practice you will be surprised how well this can work. The key, of course, is trigger control, and 95% of handgun shooting success boils down to trigger control. The only way to develop good trigger control is to practice regularly until it becomes automatic. SCORING: The object is to get the lowest score you can. The inner ring is one point, the middle ring is two points, the outer ring is three points, and all other shots, on or off the paper, count as five points. Touching the black counts as being in the ring. All 25 shots are counted, one way or the other! A perfect score would be if you got five in the center of every target, five points per target times five targets, to get 25. You can shoot the match more than once if you don't like your score and want to try again. We want to see just how well you can do! 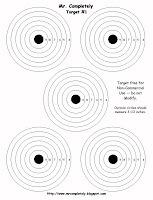 Mark your individual scores for each small target, total target score and the name you want to use when listed in the results on the target with a legible felt pen, along with the class and type of gun used. Don't write your name on the target, only the name you want to appear in the results, as your target may get posted on Mr. Completely. CLASS 6 SPECIAL RULES: Class 6 is set up more along the Steel Challenge rules. Your score is your actual combined time for your 4 fastest consecutive shot strings out of 5. You will need a shot timer for this class. Shoot each shot string on a separate target sheet. Start position is the same as the other classes. Hitting any part of the plate counts as a hit. Take as many shots as needed to hit each plate once, there is no penalty or limitation on additional shots needed. There is no penalty for shooting a plate twice. Shoot the stop plate last, but only after you have hit the four rectangular plates once each. Once the stop plate is hit, the run stops. Any rectangular plates un-hit draw a three second penalty per plate. ALTERNATE ENTRIES: If for whatever reason you cannot shoot the match in the manner described, shoot it anyway and send in your entry, but be sure to tell me what you did so I can include that info in the results. MULTIPLE ENTRIES: You can enter more than once, in fact, it is encouraged. Shoot everything you own, and everything you can borrow! Take a buddy to the range, get him entered, then borrow his gun and enter that! The only restriction is that you can only enter once for any given gun, in any individual Class. You can enter class four with a gun that you have also entered in one of the other classes. Different calibers in the same gun count as one gun. For example, .38SPL and .357MAG are considered as one, as would be .44SPL and .44MAG. Different guns of the same caliber and barrel length can be entered. A .22 conversion on a .45 frame counts as a second gun, so you can take off the conversion and shoot the .45 too. PRIZES: Nope, it's just for the fun of it and the bragging rights! 3. Gun description - Brand, model, semi-auto, revolver, caliber, barrel length, and type of sights. 4. Class: Class One, Class Two, Class Three, Class Four, or Class Five. 5. Anything interesting or unique about your entry that other shooters might enjoy hearing about. Please put "Smoke 'em" in the email title so it goes into the correct mailbox! If you can't scan or send target pictures, send everything else to me in an email, and we'll arrange for either fax or snail mail for the targets. If you have a blog or a website, you can post the target pictures on your site, then email me the rest of the information excluding the pictures. I can have a look at your targets on your blog. Be sure to include the URL for your website pictures. This works well, saves some email bandwidth, and helps to publicise the matches. The rules are subject to revision as needed, should the need arise. All entries must be received by Midnight on Monday, March 30th. and results will be posted within seven days, or less. If you have any questions, leave the question in the comments to this post, or send me an email, or both. Be safe, and have fun!! For more information on Steel Challenge competition, have a look at the Steel Challenge Shooting Association's website. They even have drawings for all of the regulation stages, including Smoke & Hope. e-Postal Match Season About to Start ! ! ! It's that time of year, the e-Postal matches are about to start up for the season. I will host the first e-Postal match this year to get the ball rolling, or lead flying, so to speak. I should have the post covering all the rules and with the link to download the target for the March e-Postal match up on the blog in the next day or so at the latest. I should have the full schedule for the rest of the year posted soon, too, as I am only waiting for confirmation from the hosts. Why is this the most dangerous cake recipe in the world? 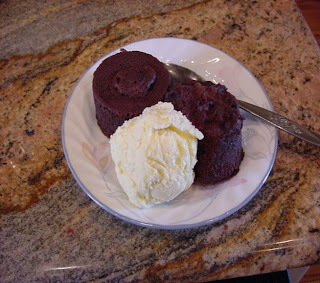 Because now we are all only 5 minutes away from chocolate cake at any time of the day or night! Thanks to Luke for the recipe! As you have noticed, I haven't been blogging much lately. Some things are going on that are consuming most of my time and energy. KeeWee's fine, I'm sorta OK, and Rocket, our cat, is slowly dying and there isn't much we can do about it. 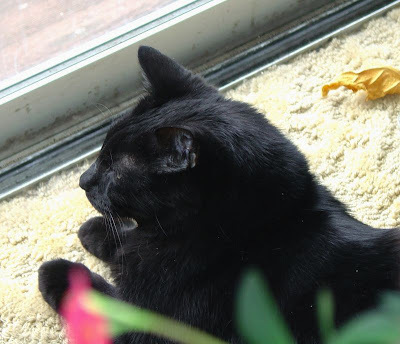 None the less, when something noteworthy comes along, I am trying to get it up on the blog. The new cartoon strip, "Gentleman from Lickskillet" is one of those noteworthy new things you may find worthwhile. It's shown on Richard Viguerie's website, which is well worth a regular read on it's own.